UN Secretary-General Ban Ki-moon yesterday stressed the importance of financing and other support mechanisms in implementing the global goals for sustainable development and climate action, urging further efforts by G20 countries to fulfill their commitments. Referring to the 2030 Agenda’s 17 Sustainable Development Goals (SDGs) adopted by the UN General Assembly last September, he said that achieving them requires balanced, inclusive and sustainable economic growth. The Addis Ababa Action Agenda, adopted in Ethiopia last year, provides a global framework for financing the 2030 Agenda implementation. It aligns all financing flows and policies with sustainable economic, social and environmental development, Mr. Ban added. “The G20 Action Plan to support implementation of the 2030 Agenda is testament to your commitment to achieving the Sustainable Development Goals,” the UN chief said, acknowledging China’s leadership for mainstreaming sustainable development in the work of G20. The important role of the G20 Summit for the 2030 Agenda was also stressed by UN DESA’s Under-Secretary-General Mr. Wu Hongbo. “The Hangzhou summit will directly contribute to the 2030 Agenda’s full and timely implementation,” Mr. Wu said in a recent interview with Xinhua prior to the event. 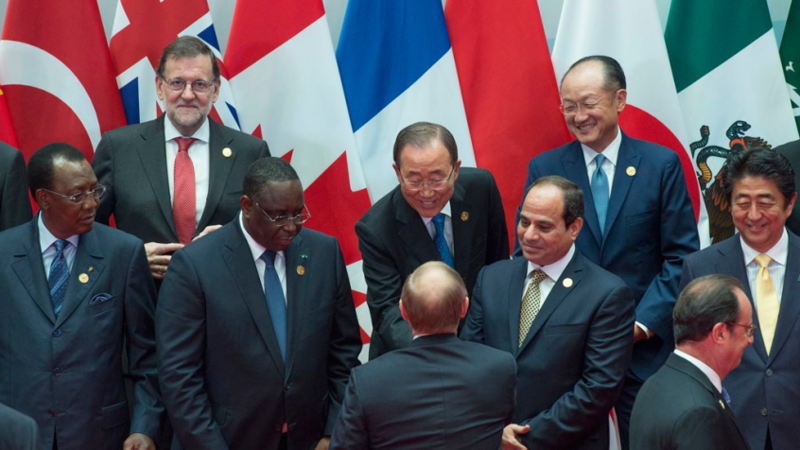 Mr. Wu was part of the UN Secretary-General’s official delegation attending the G20 Summit. “During the current G20 presidency, China has made sure that the G20 aligns its work with the new UN development agenda, putting the issue of development in a prominent place in the global macro policy framework for the first time in G20 history,” Mr. Wu said in this interview, also shared in an article by China Daily. “Implementing the 2030 Agenda will strengthen our collective ability to address short-term risks and build long-term resilience. This is why it is essential that sustainable development is fully integrated into a global macroeconomic policy framework,” Mr. Ban said. The G20’s financial support to the Paris Agreement on climate change, adopted last December in France, is crucial, the Secretary-General emphasized. “Now it is time to ensure we live up to our commitments on climate finance, including the commitment to provide $100 billion for the Green Climate Fund,” he said, describing this as “an important step” to support developing countries’ efforts to implement the climate accord.